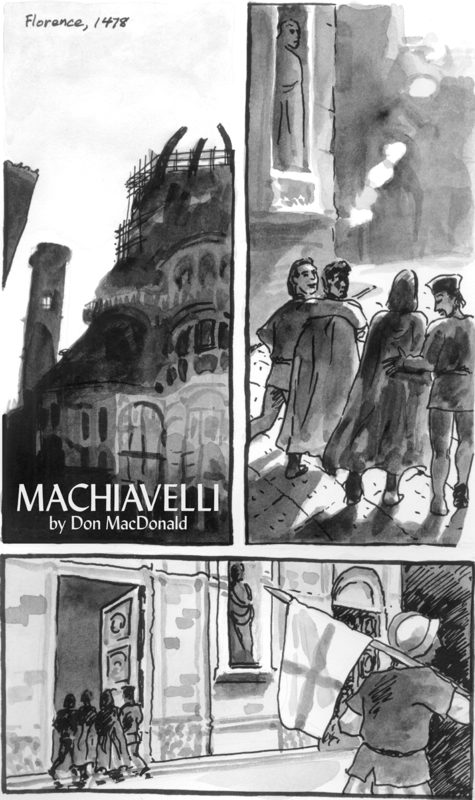 The very origin of the Machiavelli graphic novel started out in a competition for the SPX 2002 anthology. 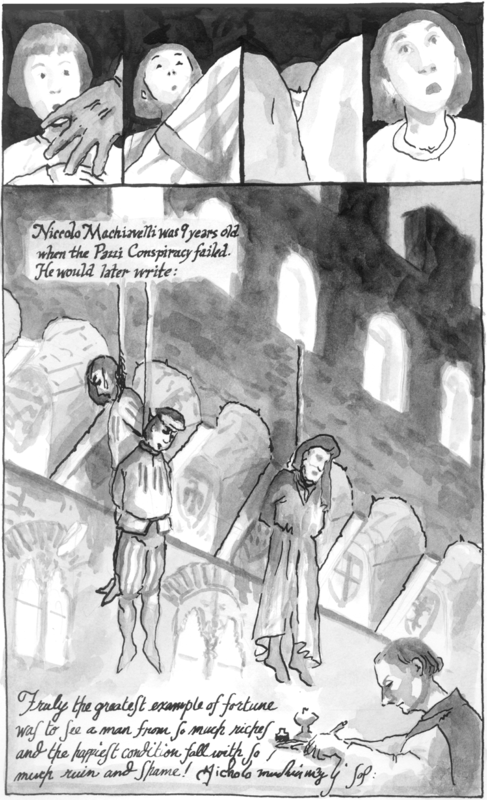 The theme was historical biography, so I was primed and ready to go with this idea I had to do a comic about Niccolò. 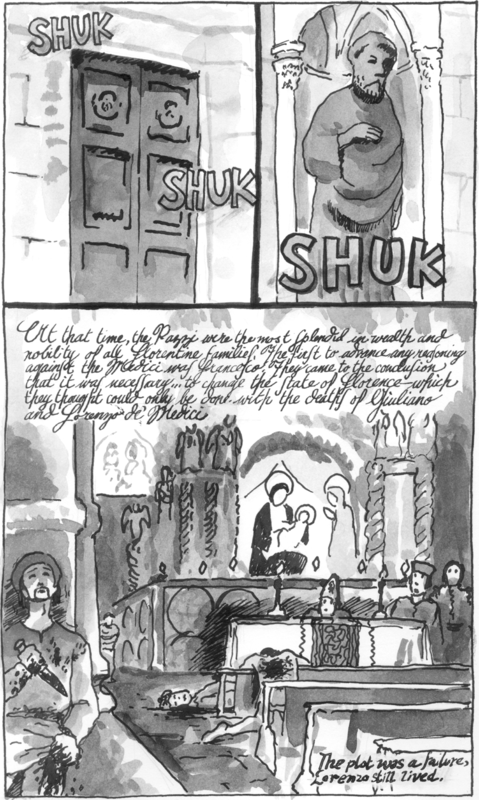 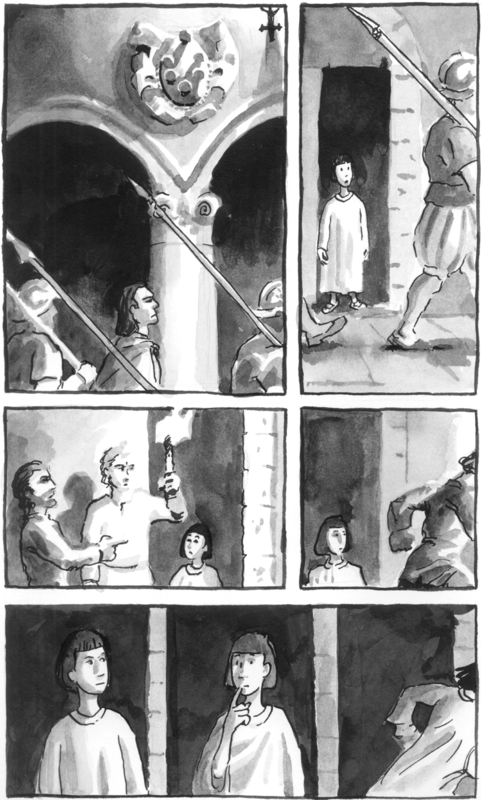 I created six pages of art which were accepted and appeared in SPX 2002. 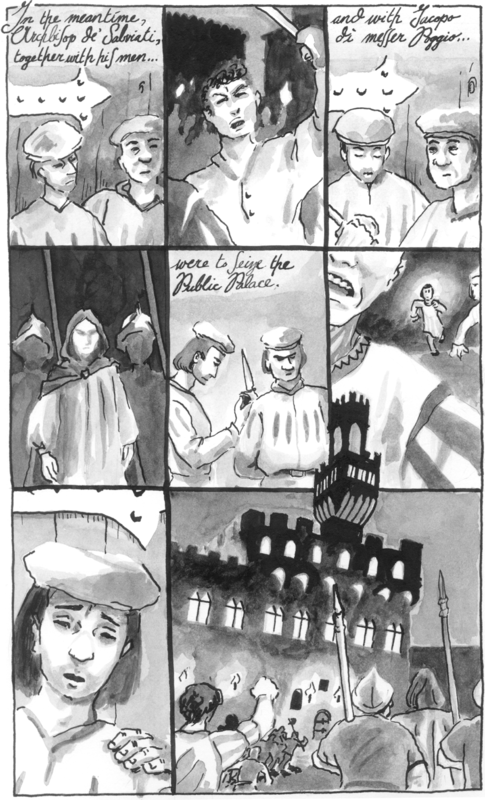 I also created my first minicomics to bring to the expo. 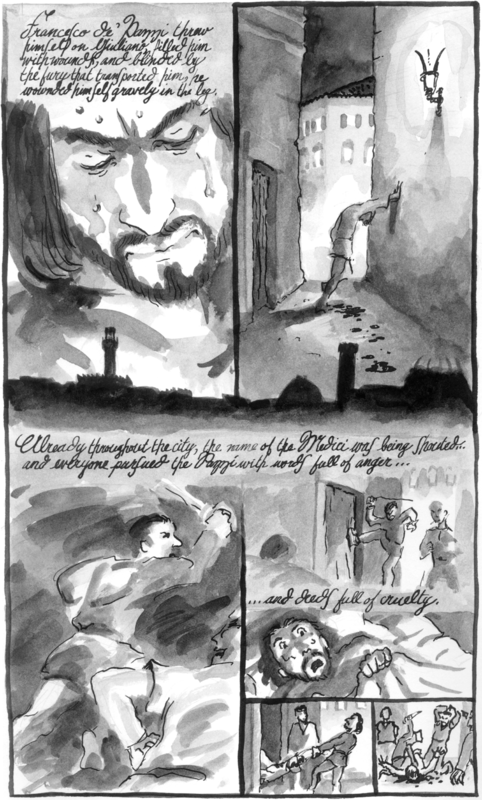 Here I am showing one to guest of honor Eddie Campbell.